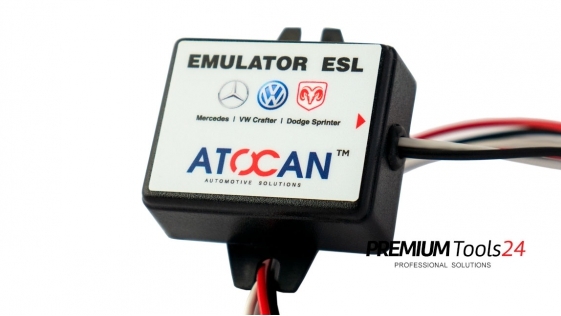 The emulator is made by Atomis company from Poland using high-quality components. The emulator has a sound signaling. Every single unit is bench tested before sale. Comes complete with pinout information as you see above in our gallery. 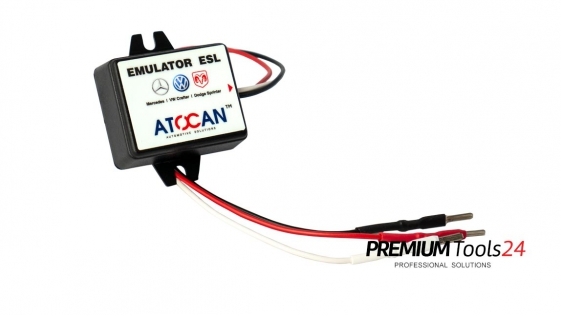 Emulator is used to check an electronic steering column lock? In most countries demand that cars have to be protected against unwanted use by two independent systems. - mechanical steering column lock. This steering column lock blocks the steering in a position slighty off the straight position, so that the car cannot roll off a hill. It is forced into a curve. With the introduction of keyless go systems the mechanical part of the car key became just useless. 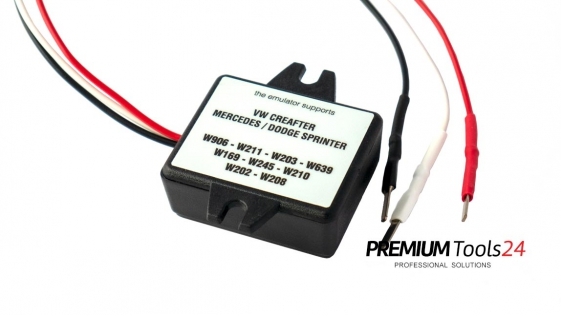 Now most of cars is opened by a remote control, and the engine is started with a button, while the car detects the appearance of the car key via a wireless transmitter. In order to prevent the car from unwanted use, the steering column still is blocked when the car is not in use. Bacause there is no mechanical key to start the engine anymore, the column is blocked by an electronic mechanism, which unlocks the column as soon as you start the ignition. 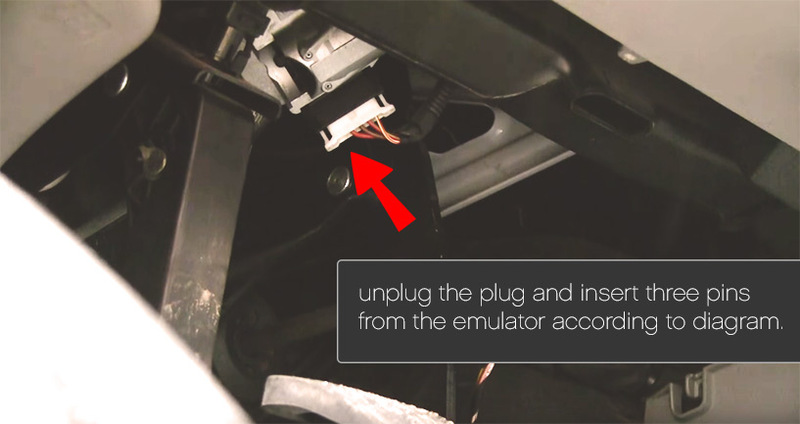 You do not need to disassemble steering column lock, just unplug the plug and insert three pins from the emulator according to the attached diagram. The electronic steering column lock is located under the dashboard and is easy to get to. 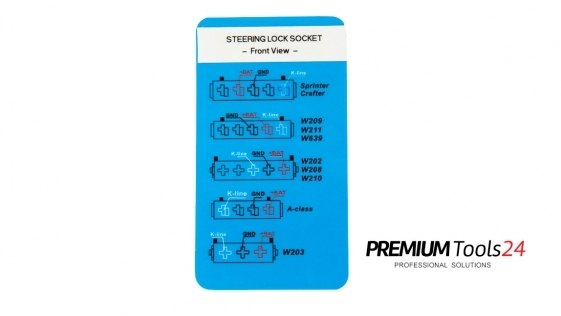 if the emulator is connected according to the diagram and you're able to run your car, it means that the electronic steering column lock is damaged. 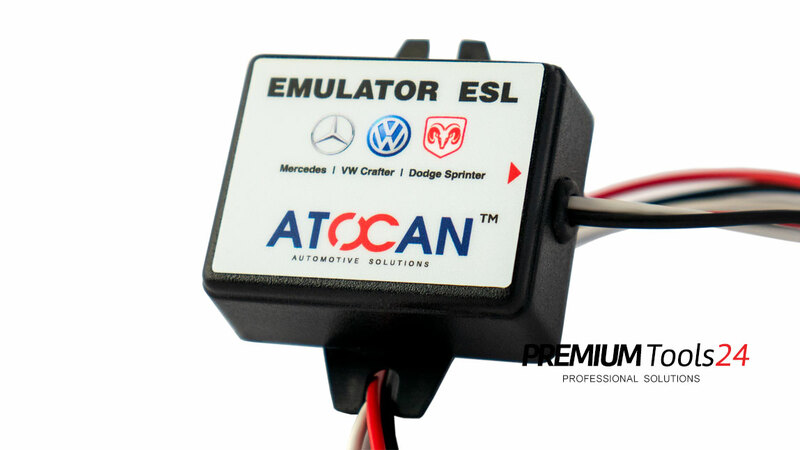 You can also use Atocan ESL Emulator to test Ignition Switch on the workbench.